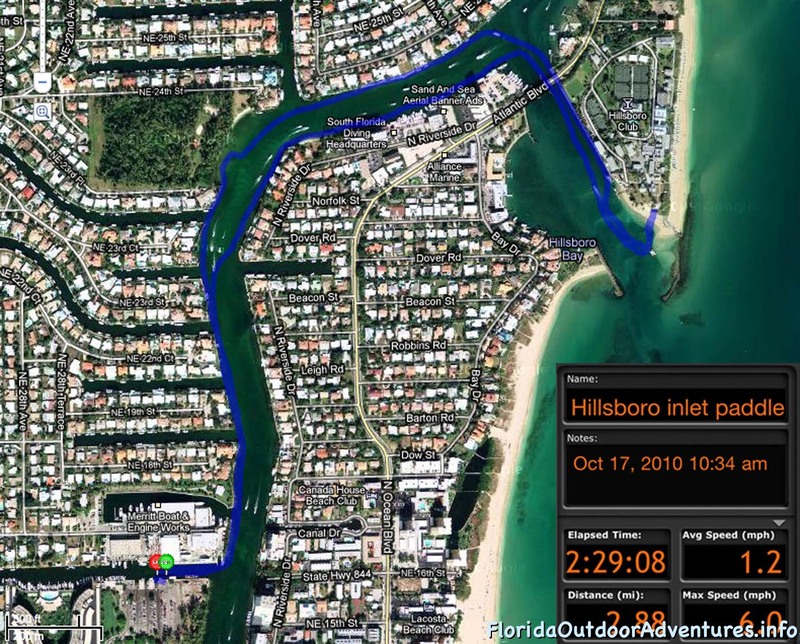 Launch Location: Alsdorf Park/14th Street Boat Ramp to the Hillsboro Lighthouse. 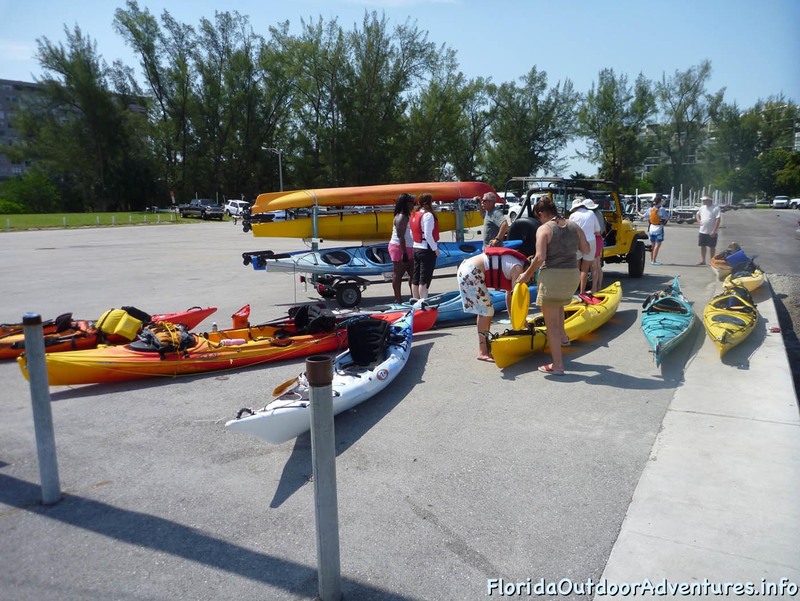 Parking: Parking is by the hour or day and the meters take cash or plastic. 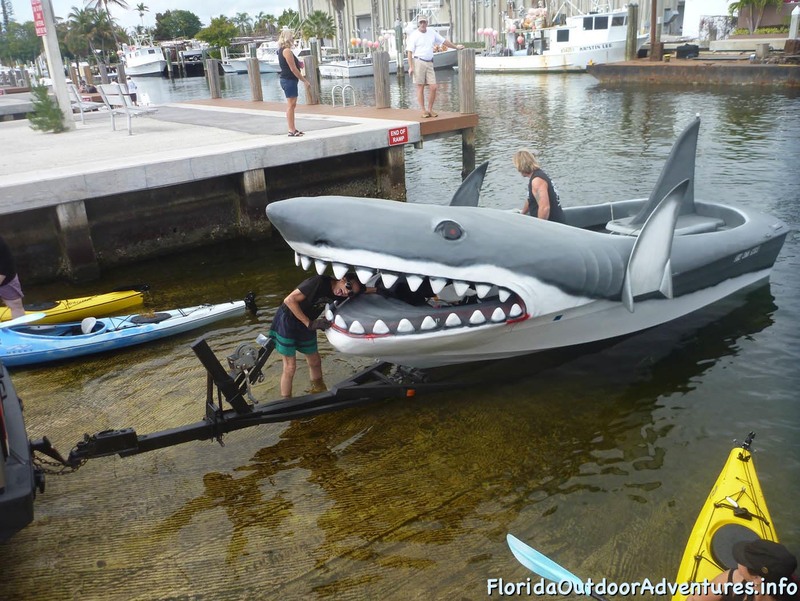 Trailer parking is available, be sure to pay at the correct machine. 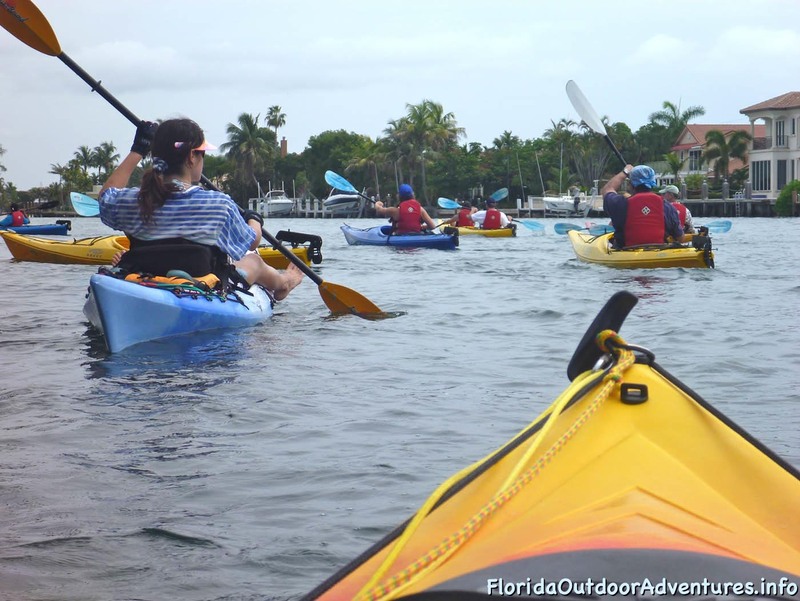 Description: This paddle was organized by the Gone Kayaking Meetup group. 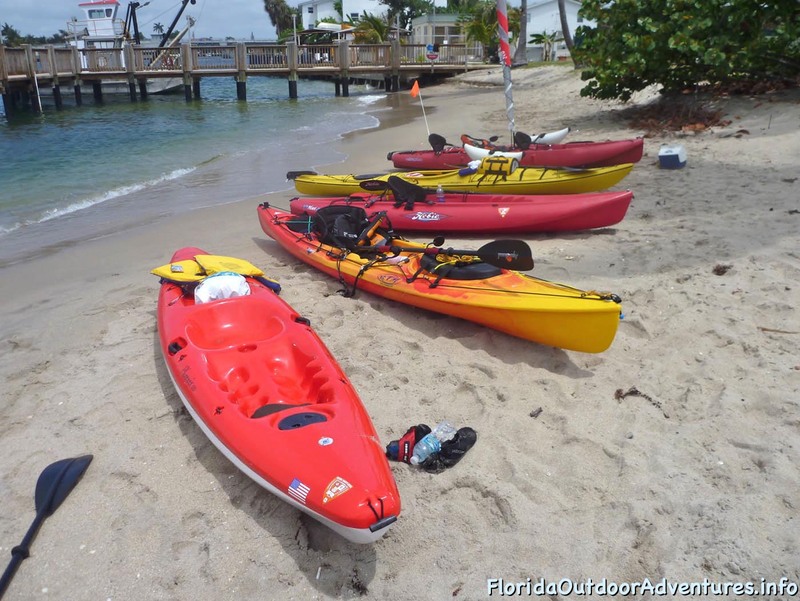 Gone Kayaking will bring a rental kayak if prearranged. 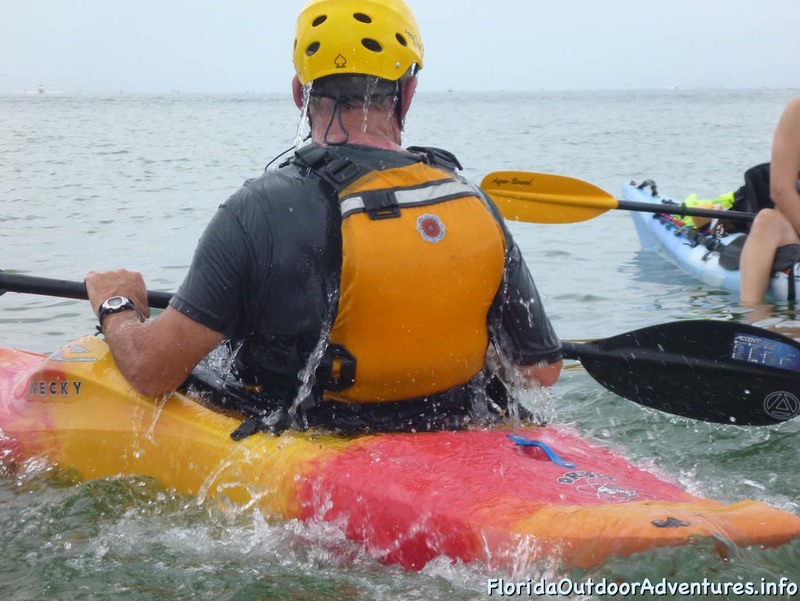 On this paddle there were both experienced kayakers and first time kayakers. 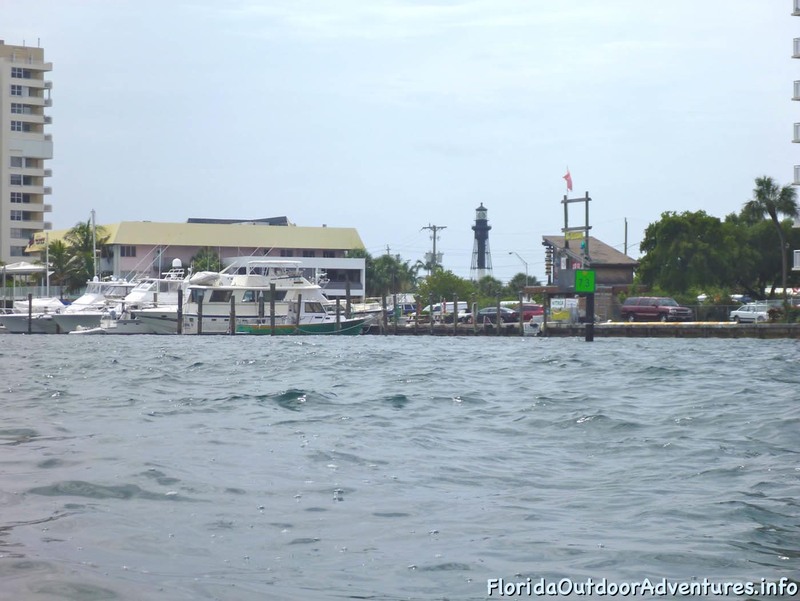 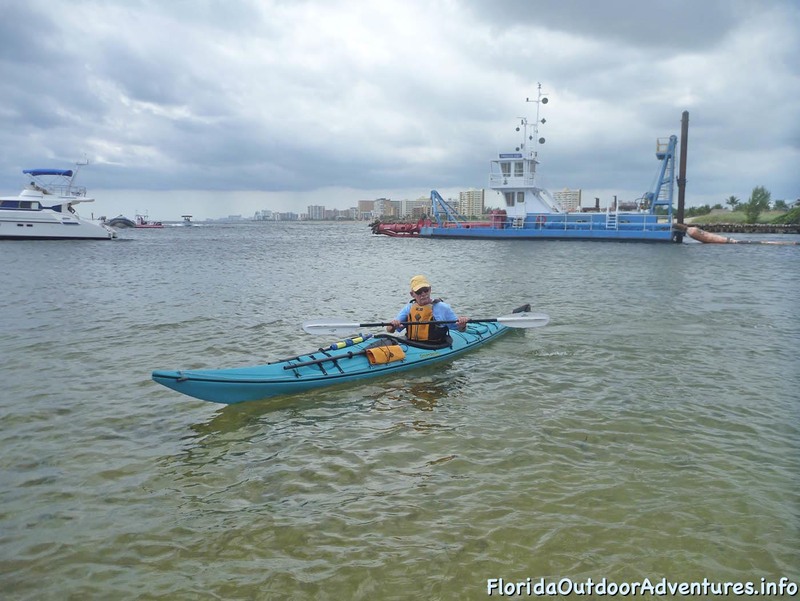 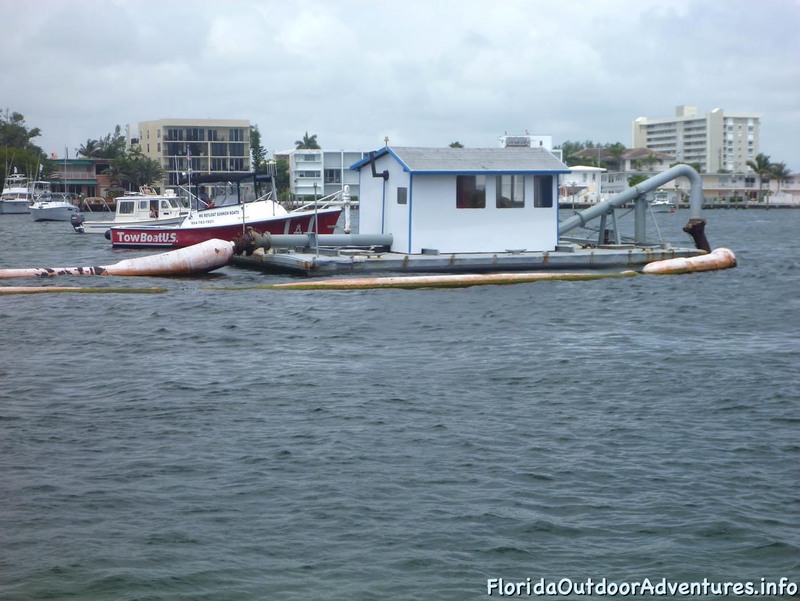 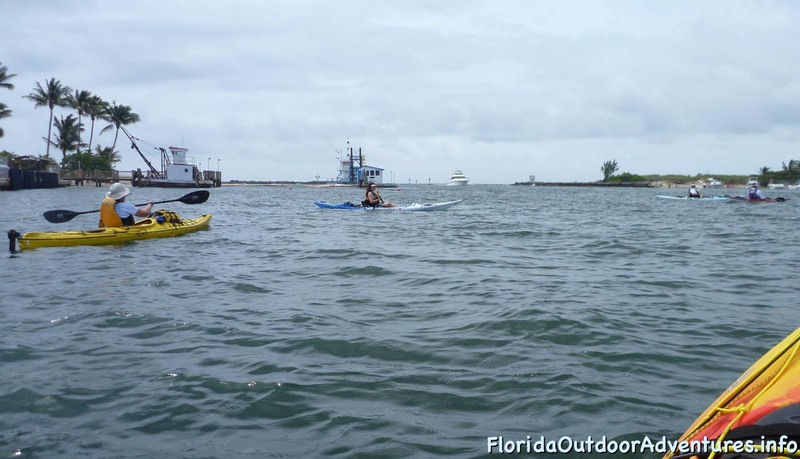 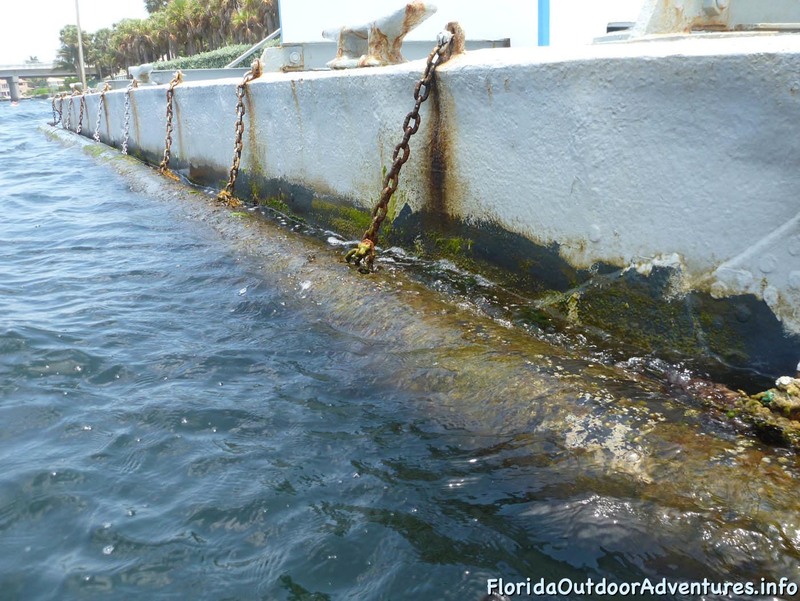 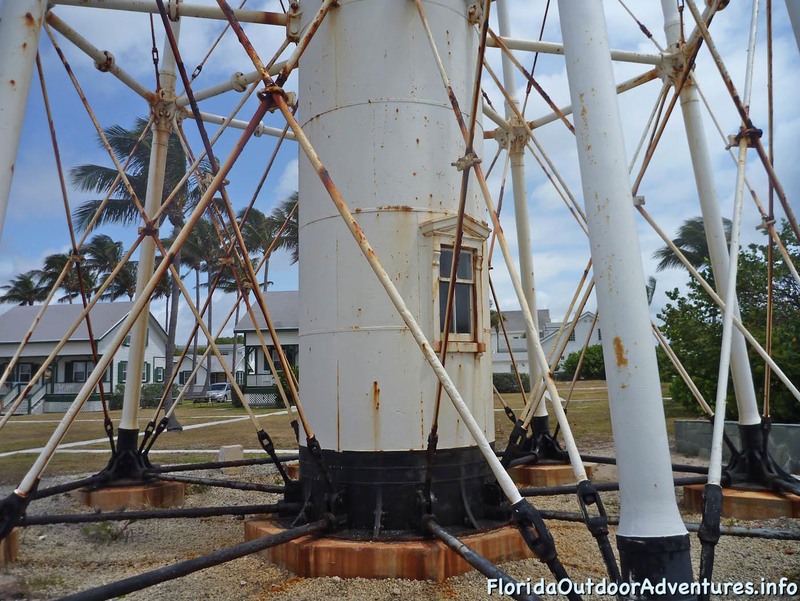 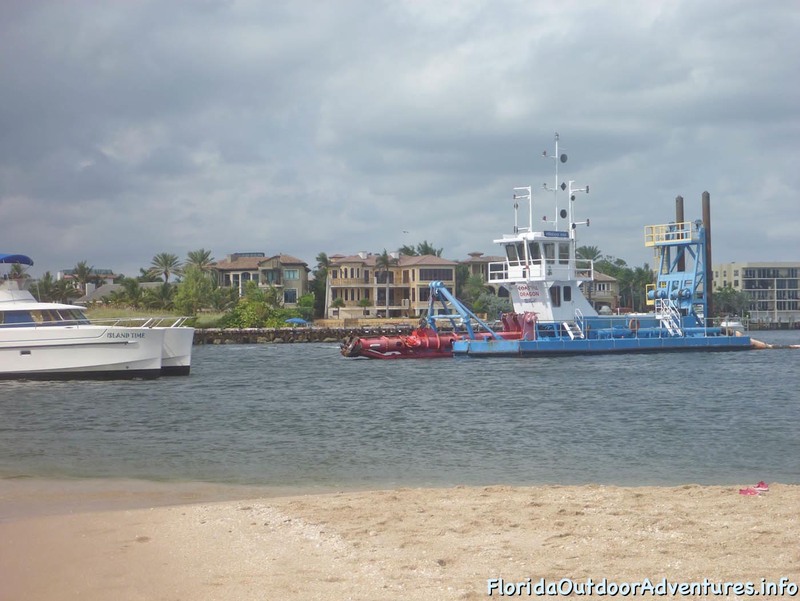 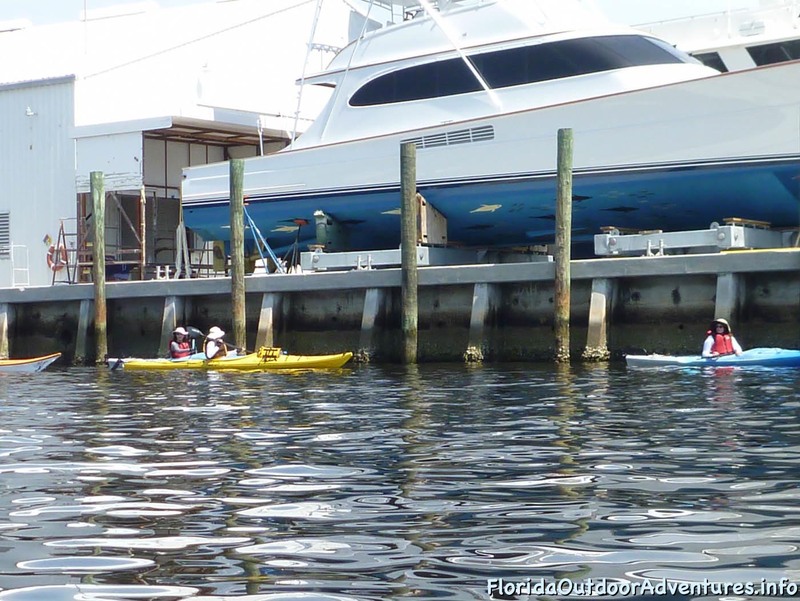 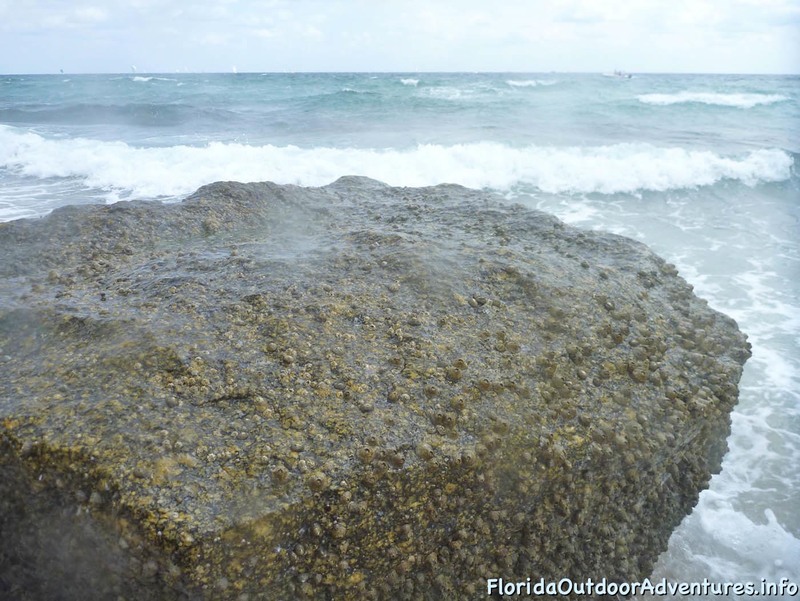 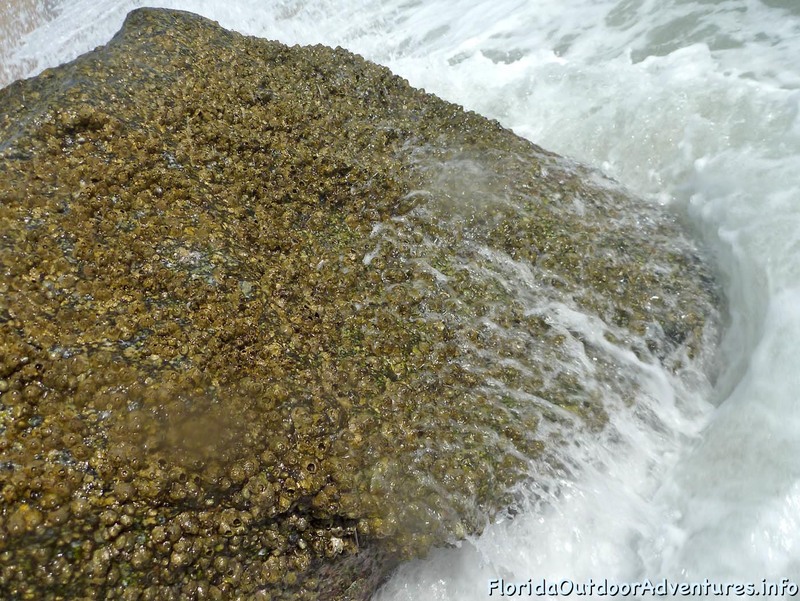 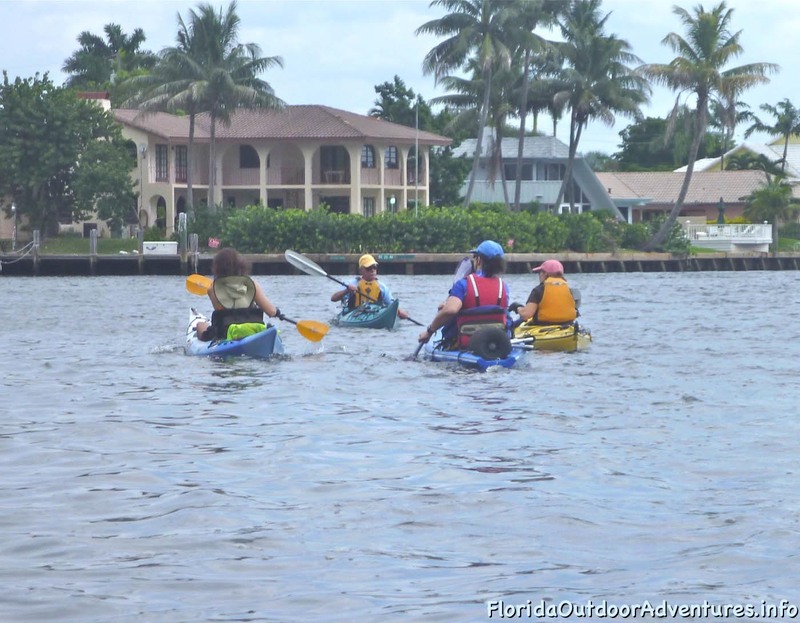 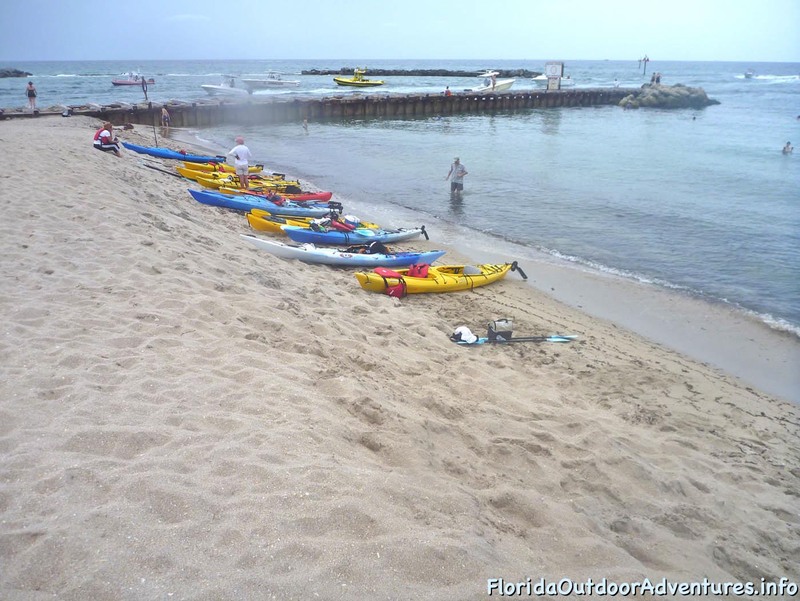 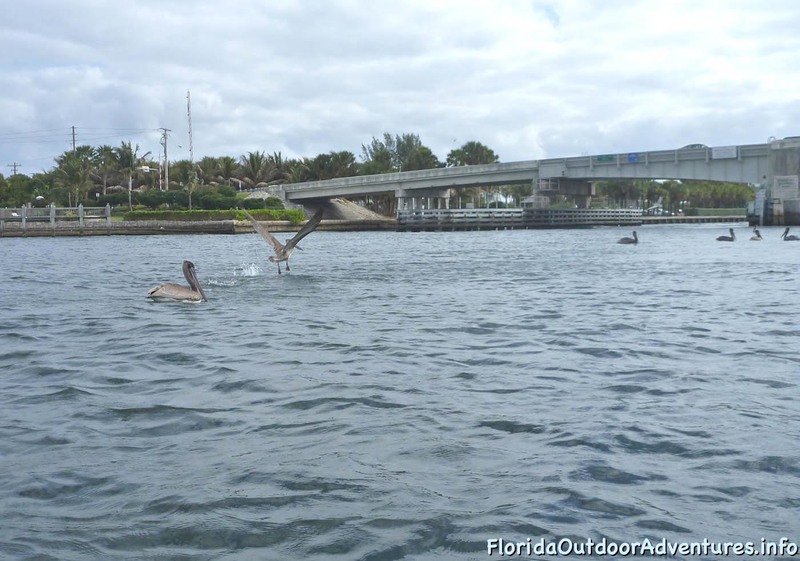 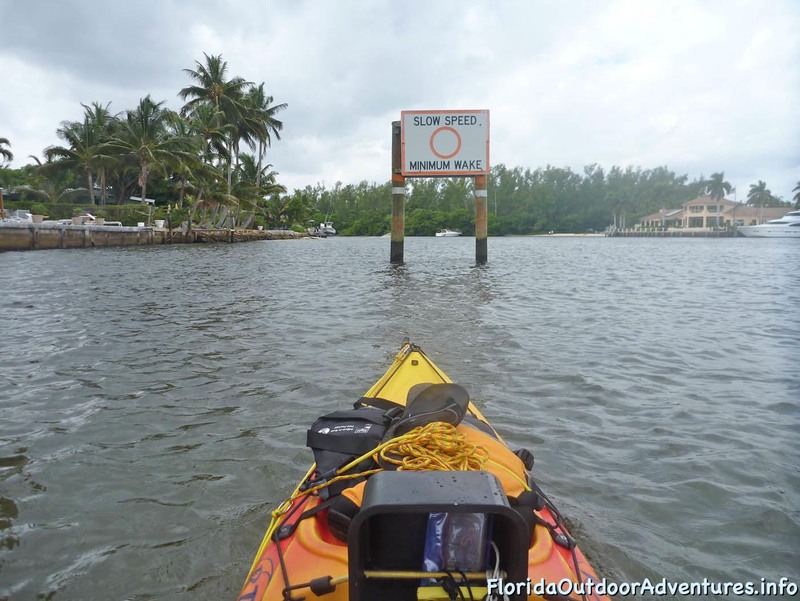 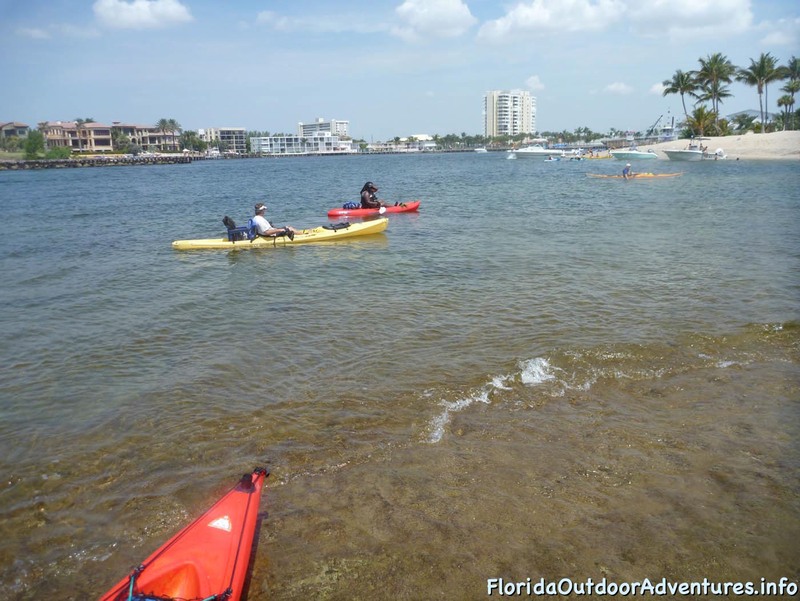 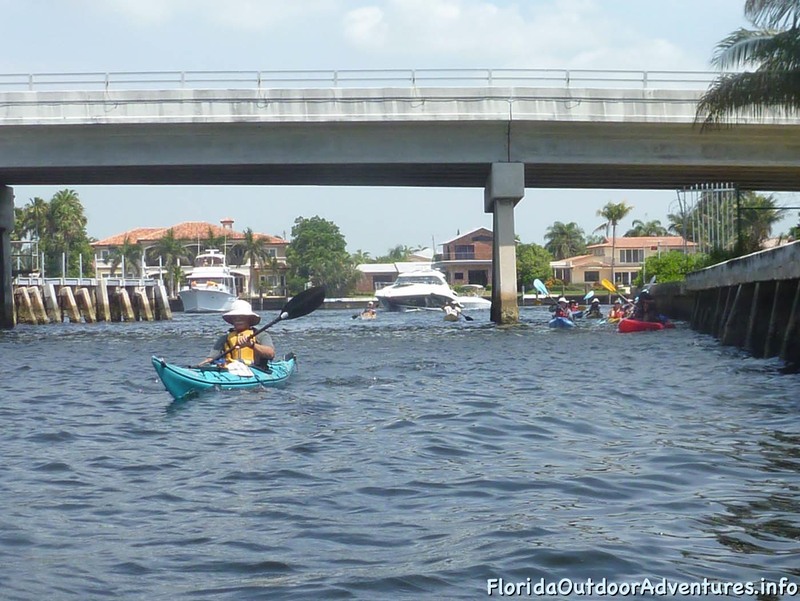 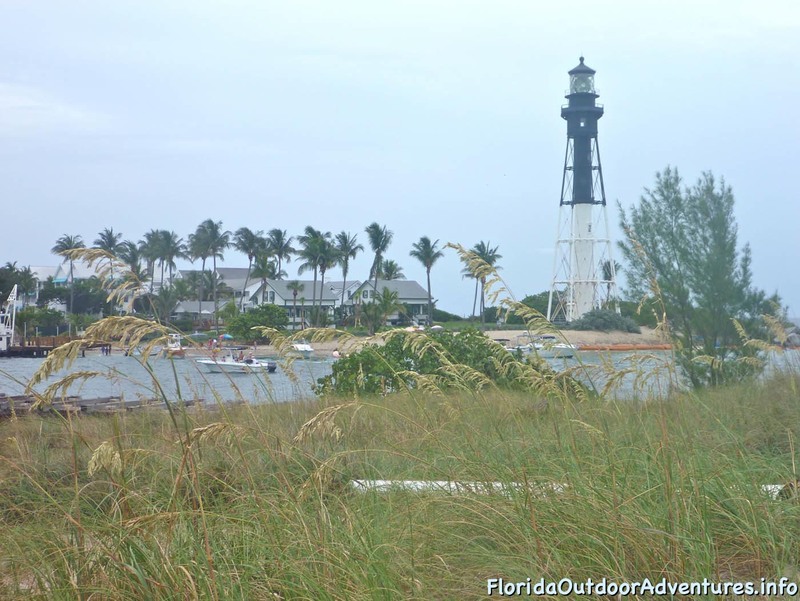 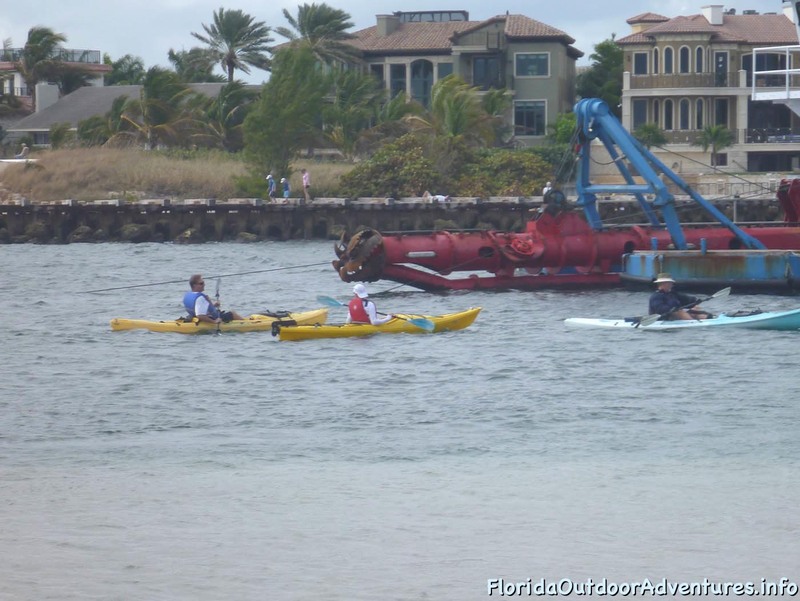 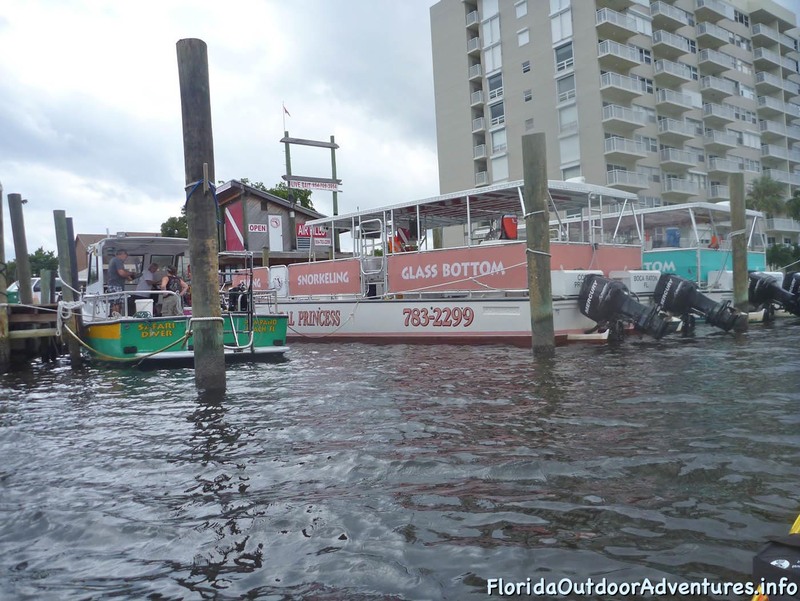 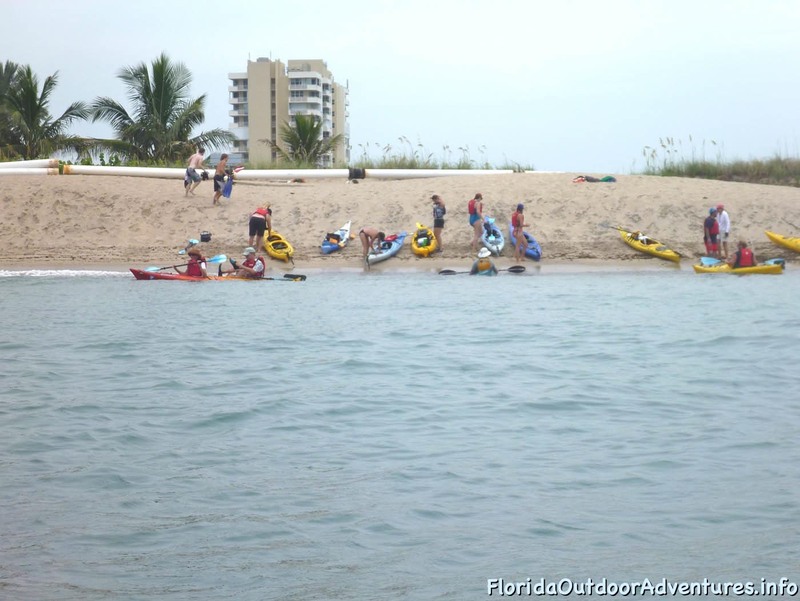 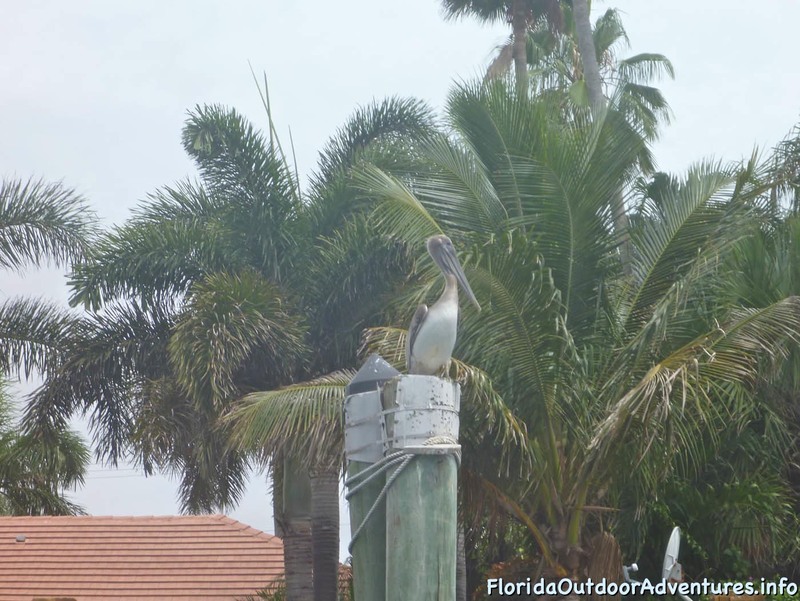 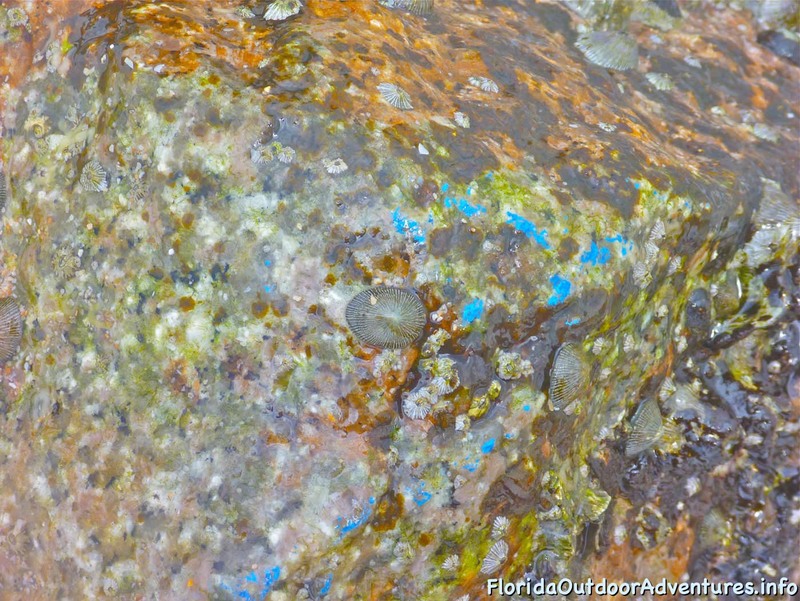 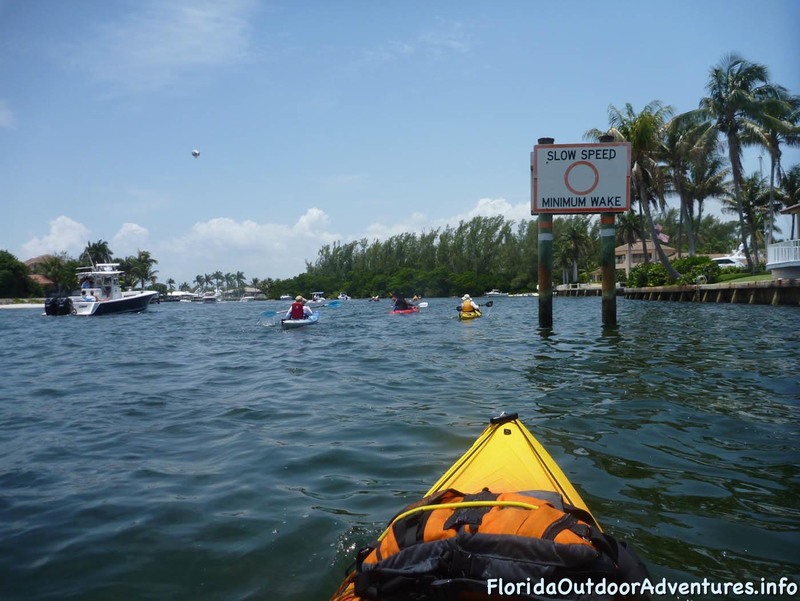 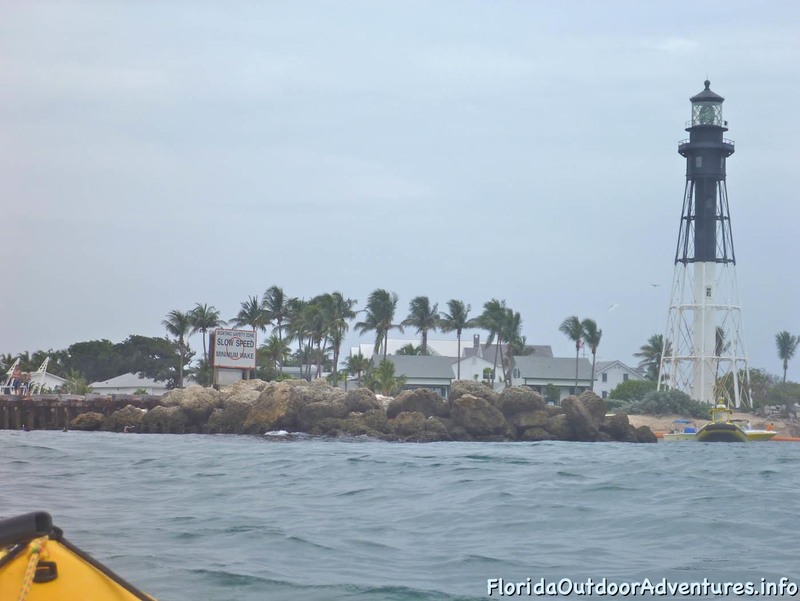 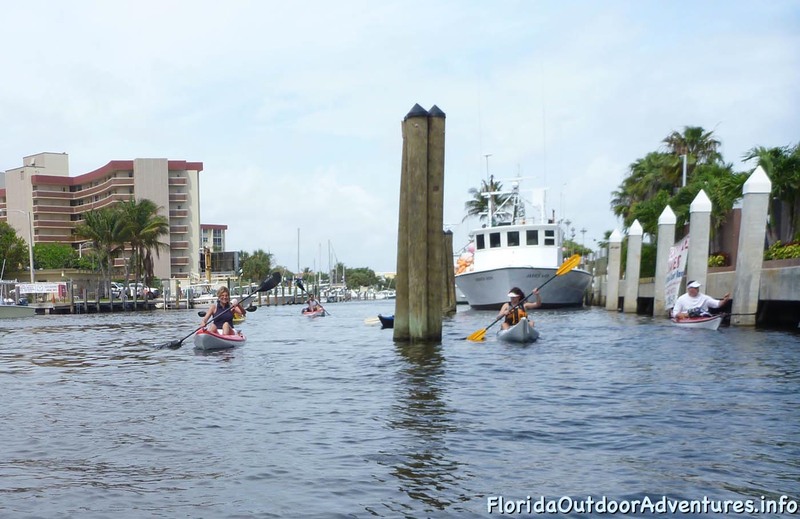 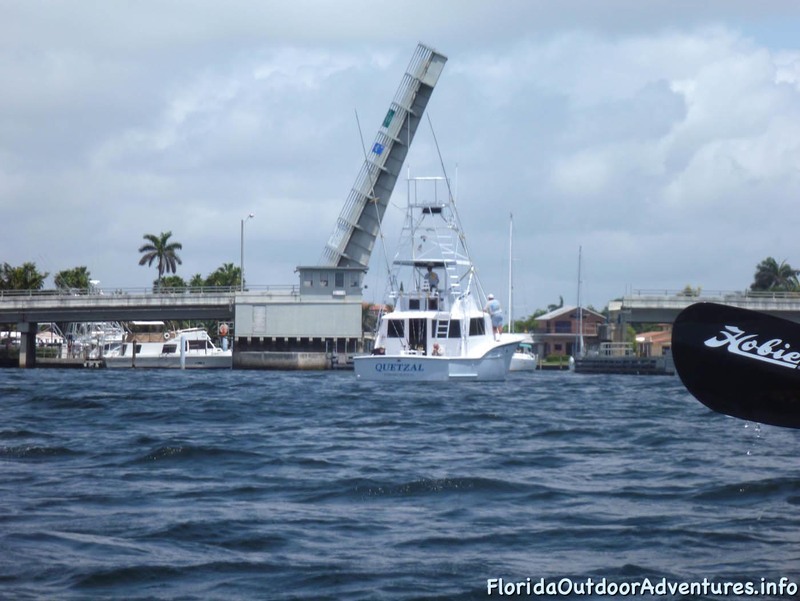 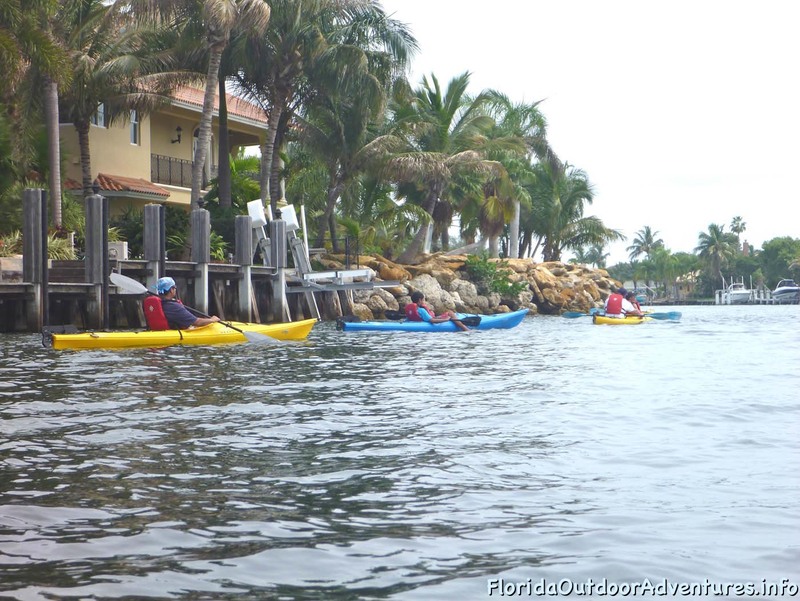 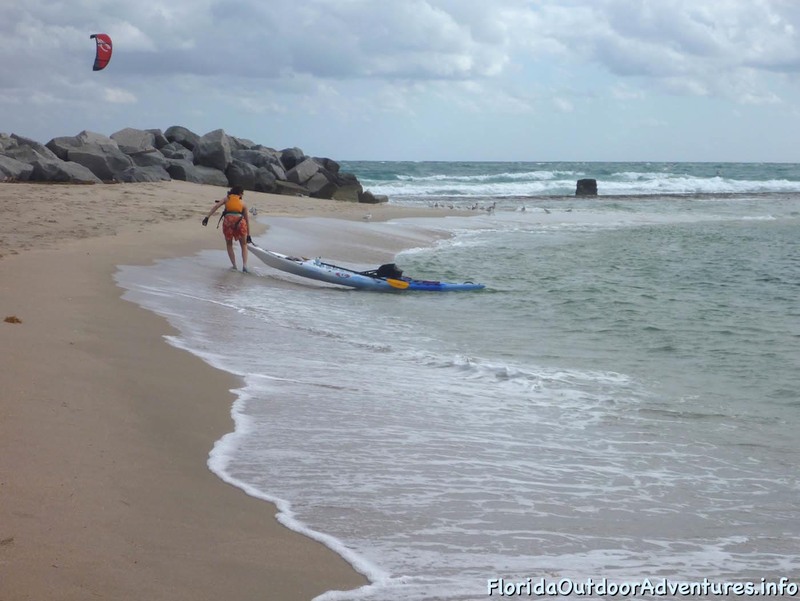 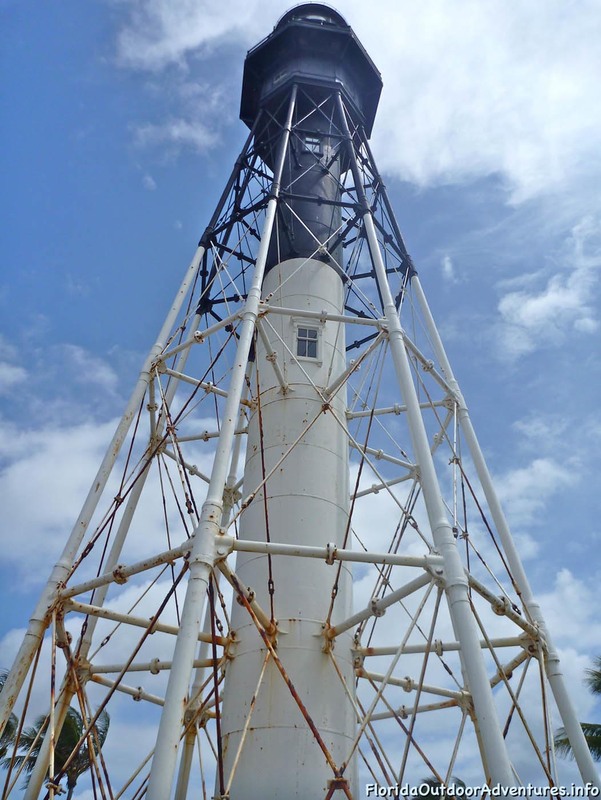 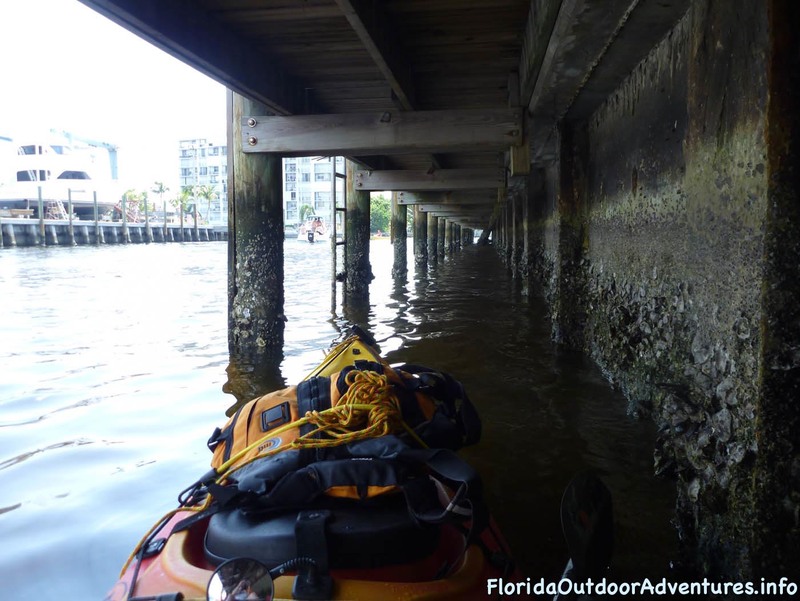 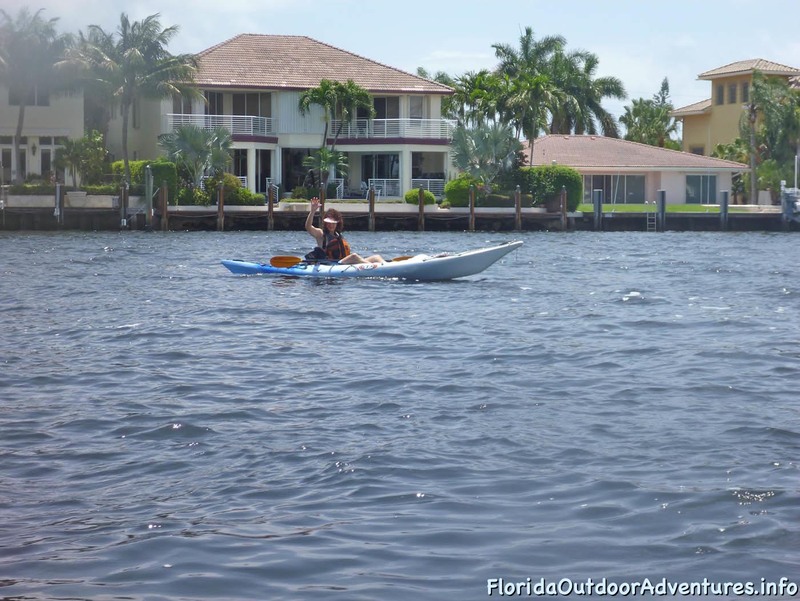 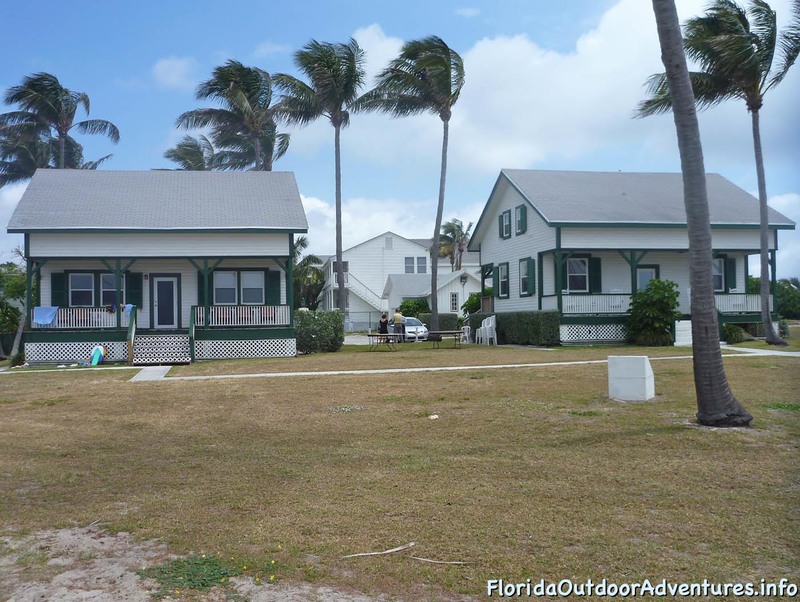 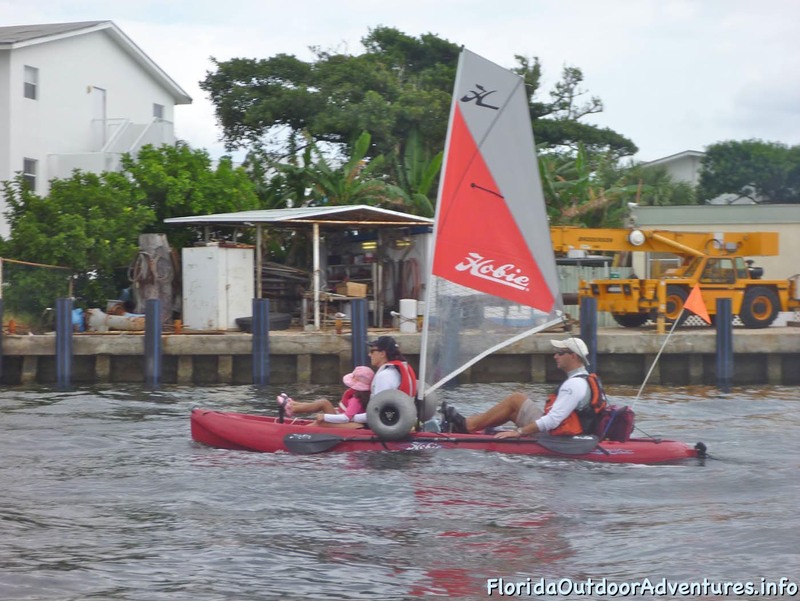 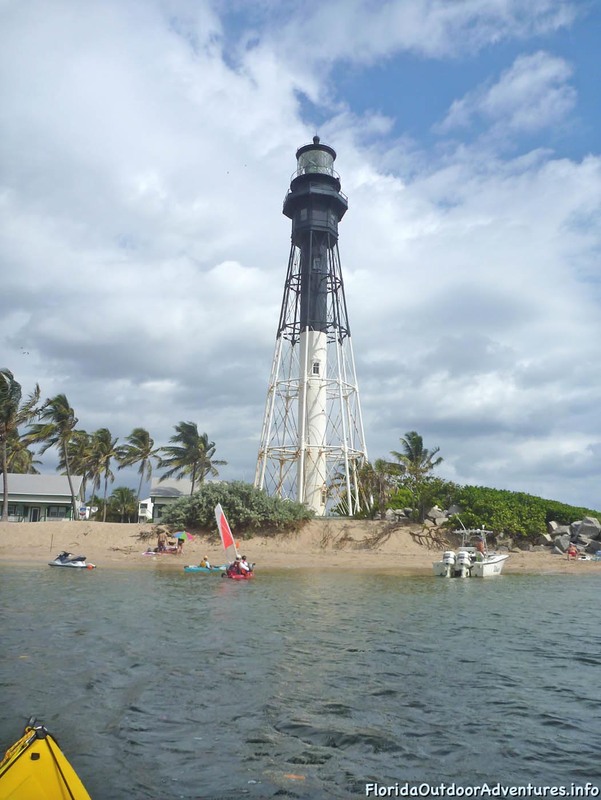 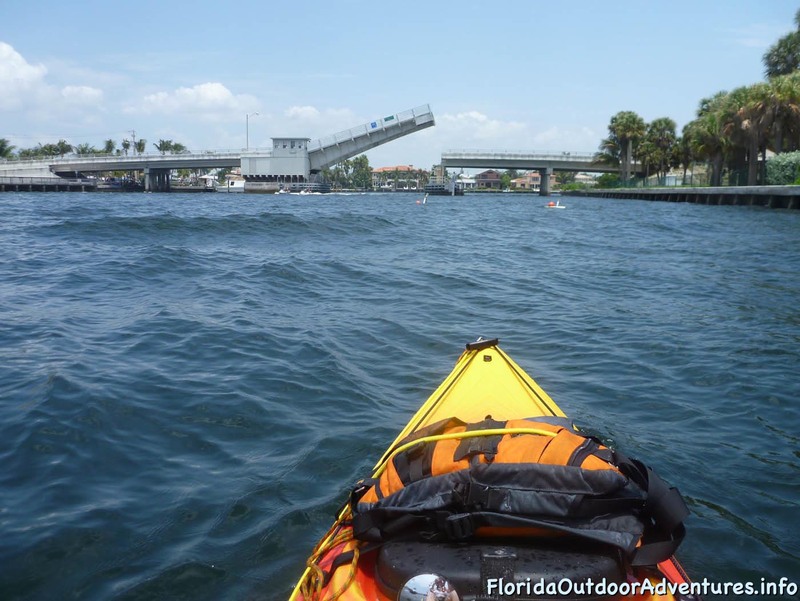 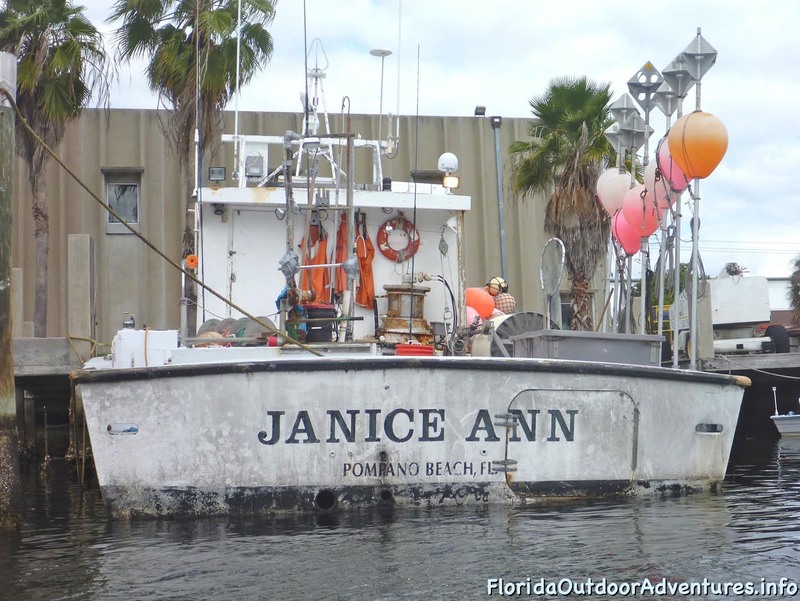 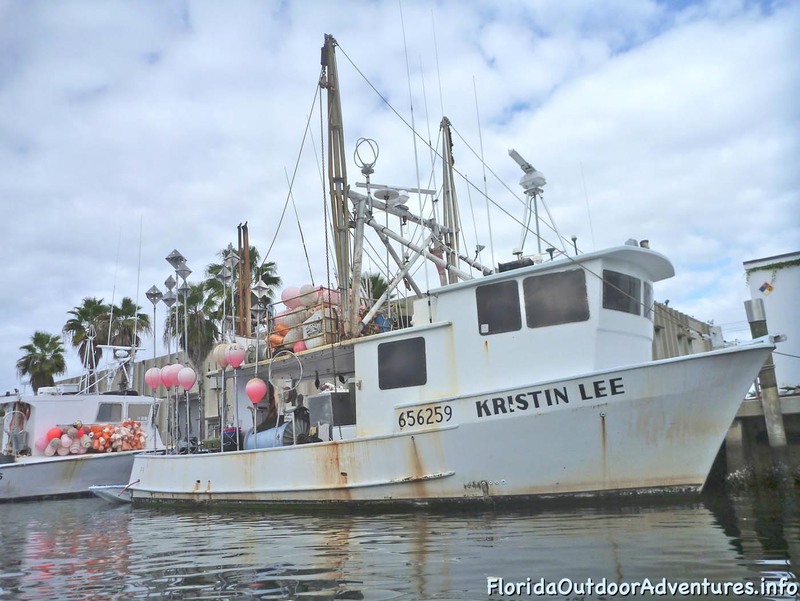 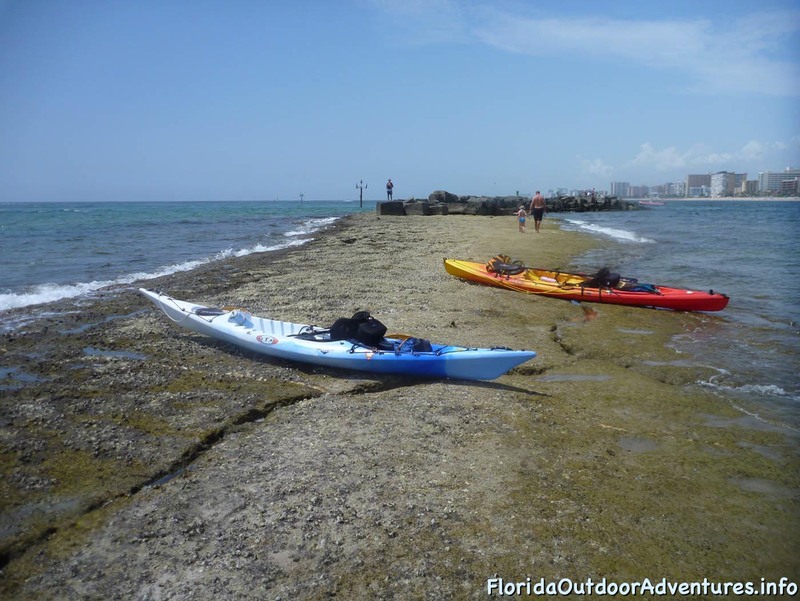 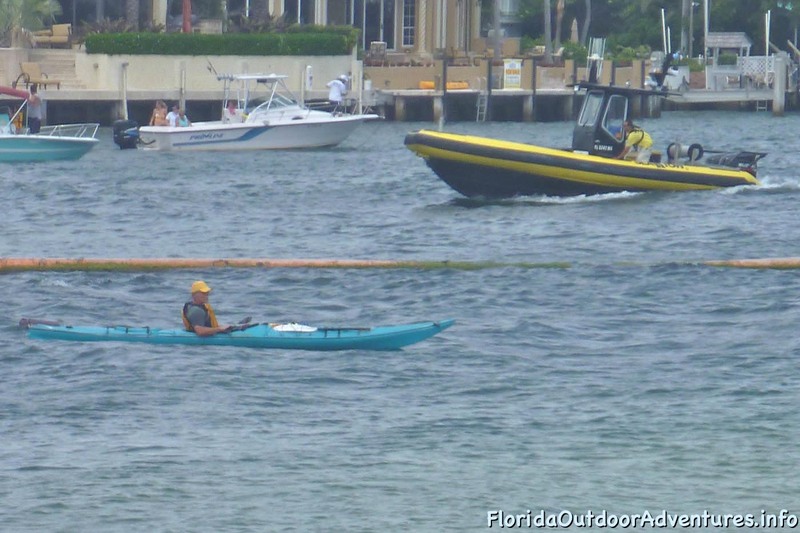 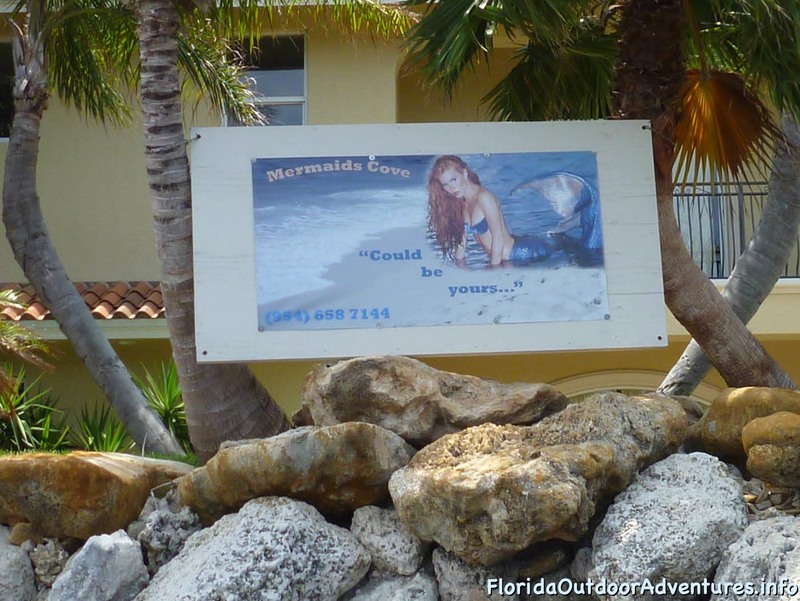 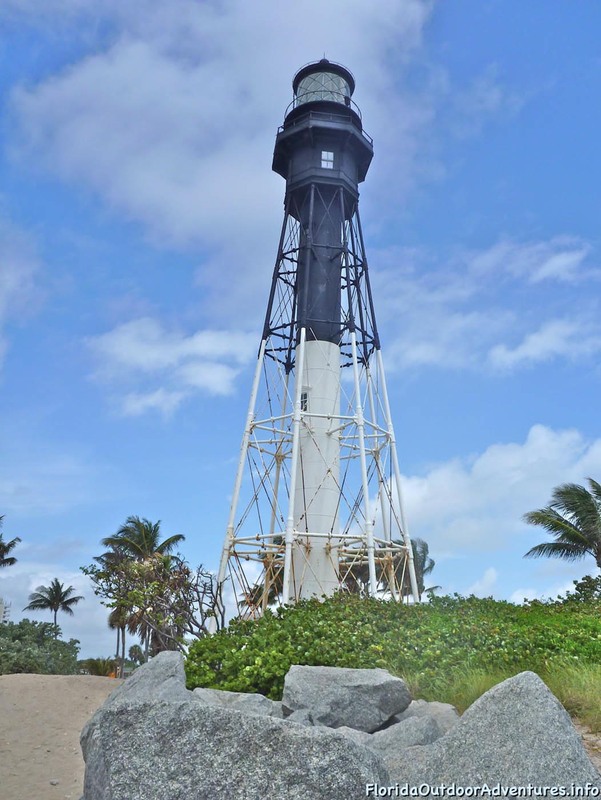 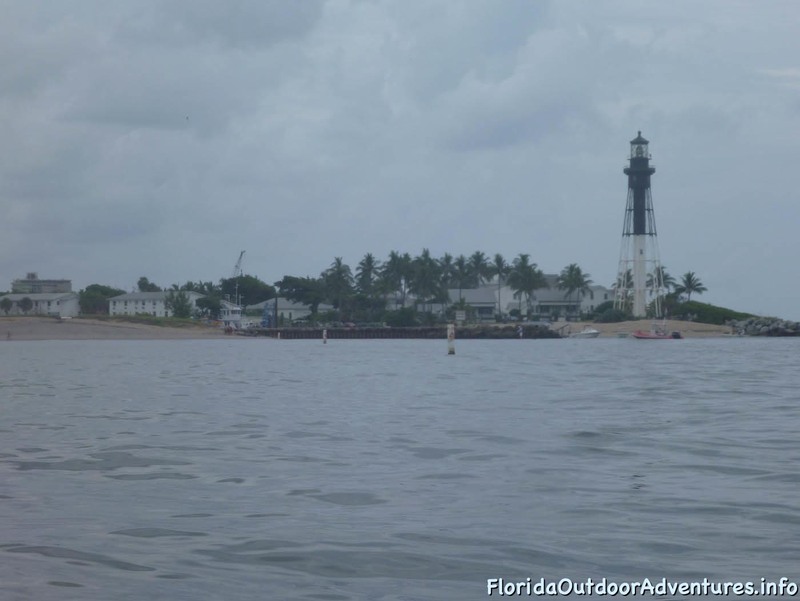 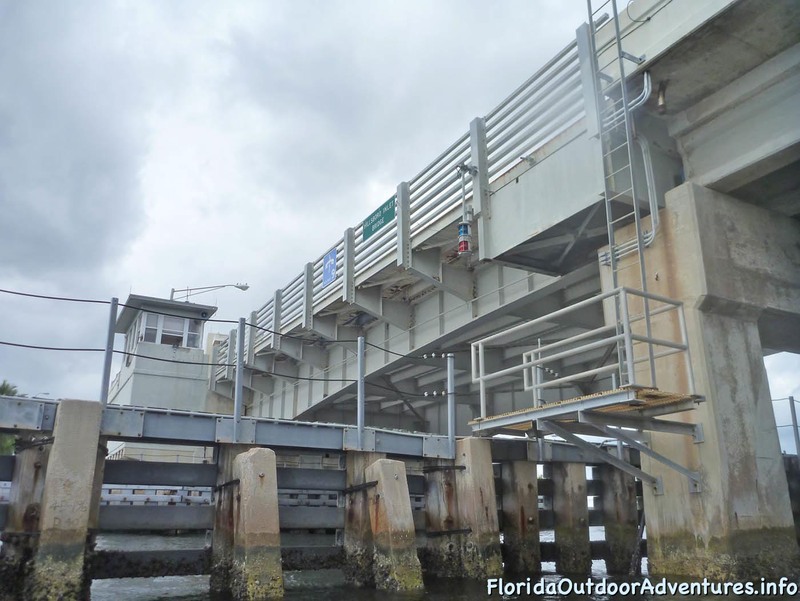 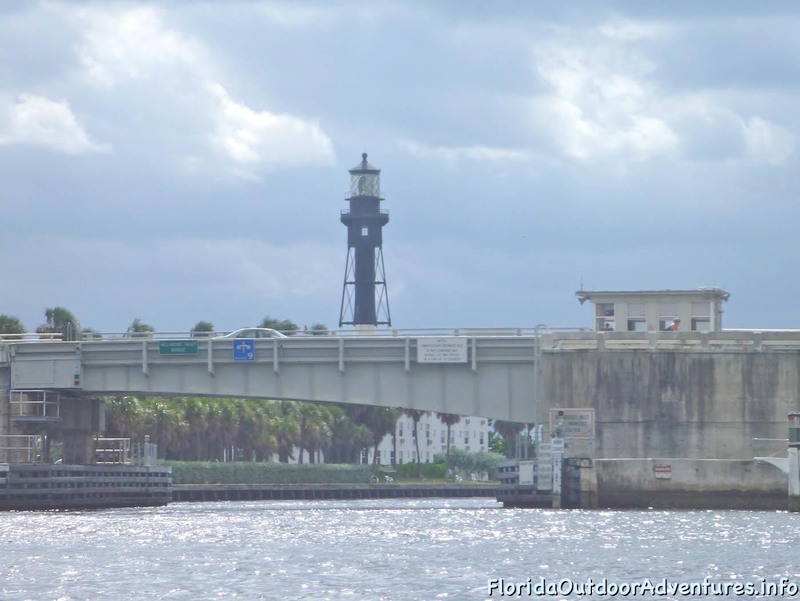 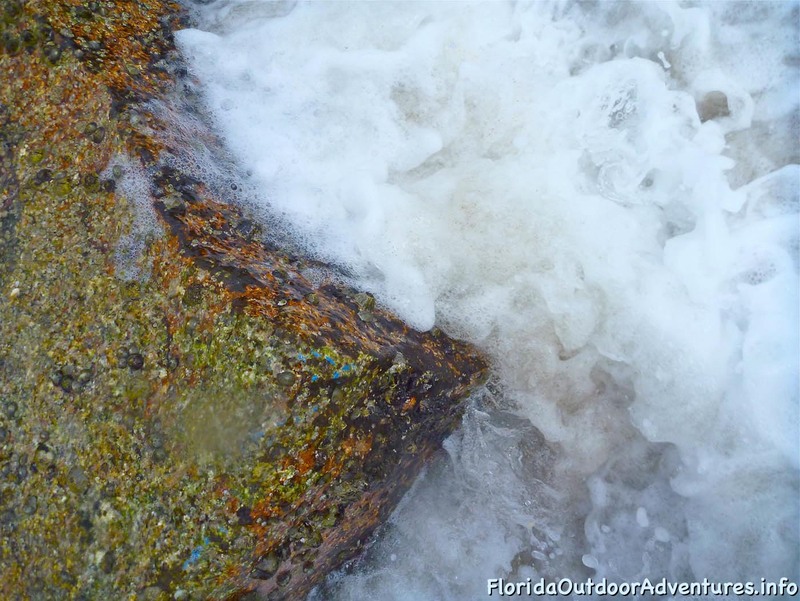 We paddled north along the Intercoastal Waterway to the Hillsboro inlet where the lighthouse is located. 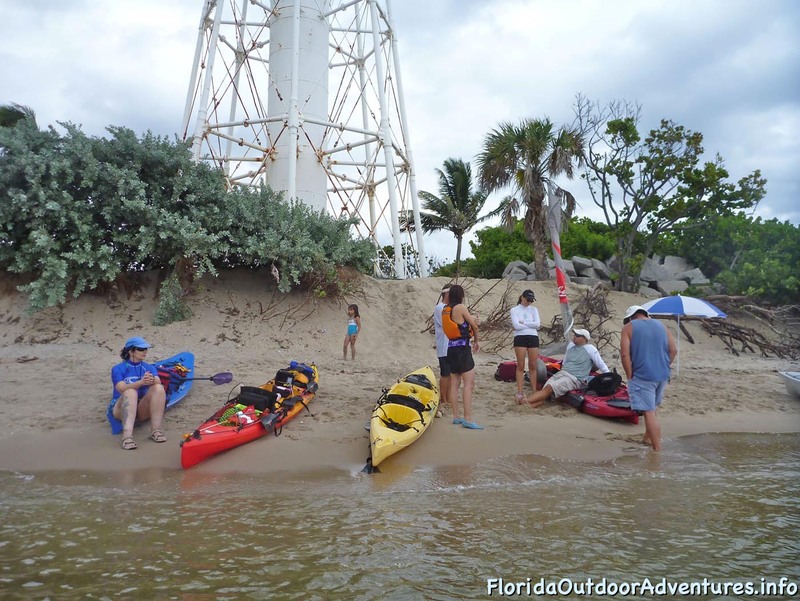 After beaching our kayaks we rested while eating snacks that we brought with us. 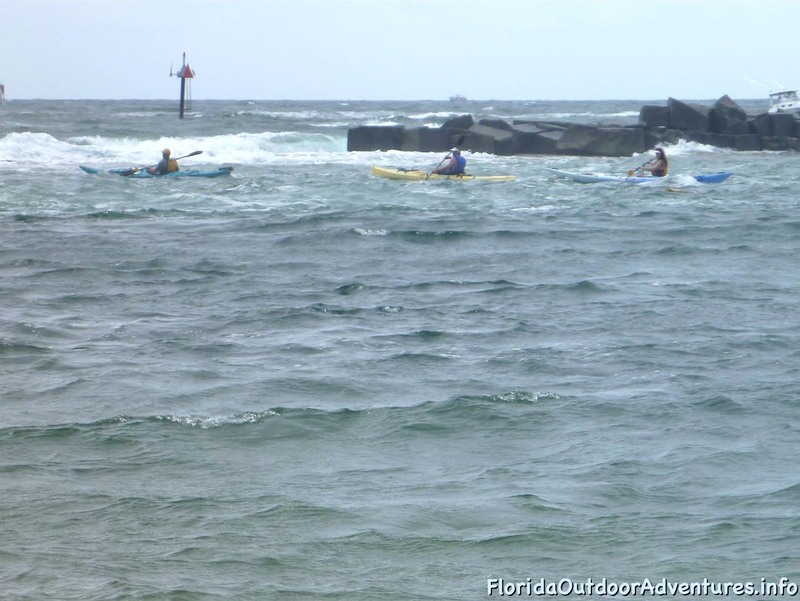 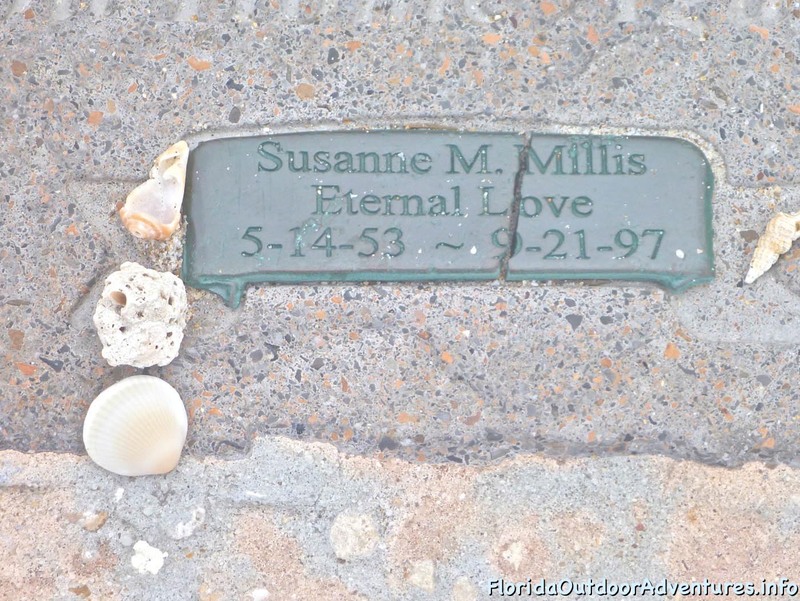 On this day the ocean was too rough to go out past the inlet. 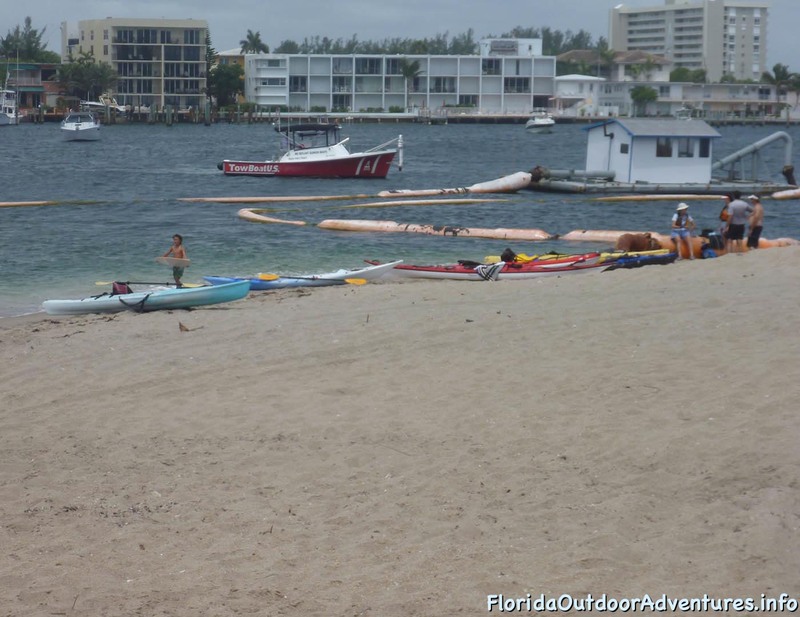 On days that the ocean is flat there is some decent snorkeling on the north ocean side of the inlet that you can walk to from here or kayak out to.